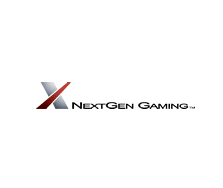 NextGen Gaming was formed in 1999 and has delivered hundreds of games to their partners around the world. The have partners with online, land based operators and software providers to develop a strong reputation in the gaming industry. Their slots are available via the QuickFire platform meaning many casinos that offer Microgaming slots will offer NextGen Gaming ones. In terms of land based connections, the Spielo-produced Medusa and 300 Shields have been made into online games. NextGen Gaming also have produced their own slots like the branded Judge Dredd, Titan Storm and Mad Mad Monkey. I quite like their slots are they tend to introduce new little features quite regularly including high multipliers and SuperBet. As mentioned, you will find NextGen Gaming slots at various online casinos due to their strong commercial agreements which can only be a good thing.